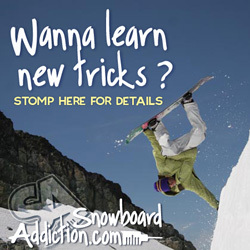 Do you want to attain Snowboarding Sponsorship and Recognition? Are you looking for support that allows for travel around the country and the world to ride and compete while you work to develop you athletic snowboarding career? Feed that dream. Using motivation, determination, equipment, terrain to ride, growing skill sets, personality, physical training, mental training and access to the information you will plan your season around. You can do it! Take control of your direction and use every talent, tool, contact and opportunity you have to actively create your own unique athletic path, image and persona. Do you want to be a famous snowboarder? I mean map it out, where does your dream lead YOU? for the companies that you would like to ride for and work within a snowboarding sponsorship relationship. There are many levels of sponsorship and the basic, entry level or "roots" level sponsorship is much more simple than this. Early sponsorships should help the rider learn and progress their approach to the business of the sport and promoting themselves in it. Progression from there, for long term progression and successful marketing of oneself as a sponsored rider, you must learn and execute the Five R's. Before that though let me give you an example of how and why sponsorship works in its most primitive form. Lil Johnny is riding up the chairlift at his home mountain in Minnesota. He's been having a super fun day. Riding all over the mountain, working on his tricks. Riding Switch is challenging and he's having a hard time with cleaning the down rail or getting much pop with his ollies off the little jumps. He is riding equipment that he received from his unkle for Christmas 2 years ago. It works, but he is excited to get new gear soon and he's anxious to progress his riding, and learn more tricks. The sound of a rider on the mountain up above him grabs his attention. He looks up and sees a rider that he recognizes (but doesn't really know), ripping down his home turf. The rider hits the biggest jump in the park and does a perfect Front-Side 360 Tail Grab. "Damn" Johnny thinks to himself. "That was sick!!" He watches as the rider makes a couple turns and then cleans the down rail with a perfect backside lipslide. "Wow" he thinks to himself. Impressed, he focuses in on the guy as he rides under the lift, heading for the line to come back up. As he passes, he sees that he has a sticker for The House, a local shop and that he is riding a GobleSplat Snowboard. "Thats a weird board brand name, but Dang" he can't help but think, "that must be a good snowboard." On his way home to St. Paul, he talks his parents into dropping by The House Snowboard Shop. Once there, he goes in and asks an employee about the Goblesplat boards. "Right over here buddy, check them out. ", says the shop guy. "Just curious how you've come to be interested in Goblesplat. They're handmade by this funky little troll up under the 3rd street bridge". Johnny is amazed and excitedly spits out, "No way, I saw this guy on one on the hill today that was killing it". The shop employee proudly boasts, "Ohhh! Yeah, that must have been Bobbie Trey. He is amazing and lives right downtown. He's riden for us for 2 years now". That is how snowboarding sponsorship works. The House just received a new customer and now, Johnny (new customer) is excited about The House and the new weird boards he learned about, which is good for the shop and the board company. He also has been introduced to Bobbie Trey, the rippin rider to watch for on the hill. This is good for Bobbie Try, as it will help to grow his reputation and further his value as a rider representative to the GobleSplat Snowboards name. Sponsorship is all about give and take like this. It is about professional relationships where everyone benefits. If for whatever reason the rider or the sponsor are not getting support and representation from the other, the snowboarding sponsorship will break down. Below I have listed and described the keys to getting and maintaining a snowboarding sponsorship. It takes work, desire, focus and an idea of the desired outcome. What are you willing for the company to expect from you? Reputation -You must build yourself a reputation. It may be a combination of many things. Your ability, your style, your friendliness or approachability, your helpfulness, etc. You want people talking about you. Talking about yourself is kind of a turn-off, so if your approach is talking about yourself, and how good you are, you may be shooting yourself in the foot. It is possible to be a bad-boy and get recognition, but I would suggest you stay on the positive side of things. That way when people talk about you it is all good. Hearing things like, "Yeh, Seth is an awesome rider, but he is a Jerk and gets in trouble a lot." That is the kind of reputation that can work against you. You must share your accomplishments and demonstrate ability with a prospective sponsor, but it is a good idea to do it with a humble approach, not "oh man, I am so sick." That is not a big seller. Resume -Having a Resume is not only vital in your Snowboarding Sponsorship search, it is also a great tool to help the rider refine and hone their direction and goals. In snowboarding it has become common for people to put together video resumes. This is valuable, but a video piece should always be accompanied by a professional looking resume on paper , complete with photos. This demonstrates versatility and professionalism. If done well, of course. Your written resume should include a brief rundown of your personal, athletic and educational background, along with your snowboarding accomplishments. Also, a resume needs to include a brief reference to your aspirations and goals. This way you will help to align your goals with the expectations of the Potential Snowboarding Sponsorship from the very start. In the process of putting this info on paper, you will really help to build your own concept of personal image and worthiness to a sponsor. Need a Resume Writing Guide? 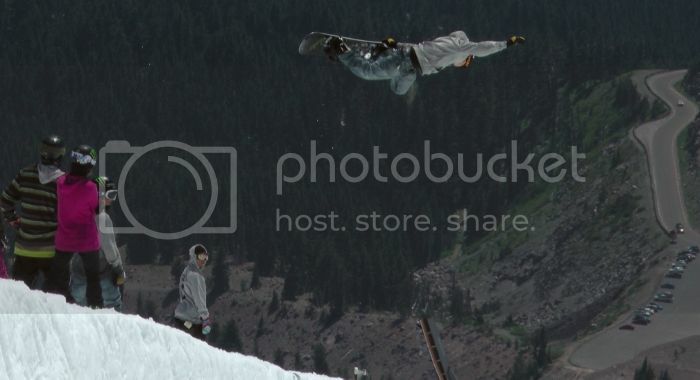 goto: Resume Templates for Athletes and Sports Competitors Get a good Still Camera and Video Camera and practice Shooting Photos and Filming Snowboarding. You should work towards having experience on both ends of the lens or camera. Practice shooting and being shot. Shoot your friends, then have them shoot you. Learn what works and what does not. Get some good footy and start building those skills and resume stock. Your photos and or video piece should be high quality. The riding needs to show skill, style and promise of future progression. Going out and getting good footage or shots can be hard to do. But you must learn how to do it. Whether it is with a friend, a family member or professional photographer or filmer, you and they will need to practice working together to find creative ways to "get the shot". Below I will discuss building a relationship with the sponsor, while here I must stress the importance of the relationships you will build with filmers and photographers. No matter who you plan to work with, you must make the effort to find the time, call them up, make a plan, get together and work for it. Focused effort, along with trial and error is what it takes. You really want a snowboarding sponsorship? Well, go out and make it happen! Believe me, when it all comes together and you have some incredible photos and video of yourself in your hand, your image of your own self worth in the search for sponsorship will get a nice boost in the right direction. Okay now, go out and get some photos and video of yourself that you're proud of, edit those clips and photos together and continue refining your written resume. Use lots of rough drafts. Revise. Be creative and include aspects of your abilities and personality that make you unique and attractive to sponsors. Show it to people, to see what they think about it. Change it. Make a new draft. Then, when you feel really good about what you have produced, organize it all and make plans for who you are going to send it to, or when and where you will put it in their hand. Relationships -This is soo important. If you hope to have any longevity in you effort to find Snowboarding Sponsorship, you must also progress your ability to build and hold good productive relationships with all sorts of people and companies. That means sticking out your hand and saying, "Hello, my name is Dude McGowan. I am an up and coming rider in my area and I would love to represent your company. How can I get involved? Here is my Resume." Then calling a week later to check in. Driving to another regional mountain or trade show to meet them. Go hang out and have a meal with them. Ride with them at their onsnow demo. (Companies have these onsnow demos where they set up a demo tent and let anyone try out their board or gear. This is a great place to meet the companies reps and to try the product.) Build that relationship kid. This is a big one!! Whenever someone calls you and leaves you a message, CALL THEM BACK ASAP. Sometimes just replying in a timely manner, can be the difference between you and someone other rider getting a great opportunity. Represent -The final and most important piece to allow for a continued relationships and snowboarding sponsorship relationship is embedded firmly in how well you represent and promote the companies products. Being helpful, communicating openly, being available for photo and video shoots, then riding well when the time is right. It is all so important. Prepare yourself to achieve an athlete representative role with the company and push yourself and the companies that you represent. Its the recipe for success. Ben Ferguson enjoying a nice view of the Mt Hood Sunset. Alright, there you have it. The 5 R's. The recipe to have a snowboarding sponsorship knockin on your door. Moving forward from today, I must suggest that you research companies that you feel you might be interested in. Learn about them. Form opinions as to who you think you would like a snowboarding sponsorship with. Try and visualize in your mind how a sponsorship between the company and yourself might work. So, How do you find snowboarding sponsorship? Get your 5 Rs of snowboarding sponsorship growing. Decide what type of snowboarding sponsorship you hope to attain and which companies you want to pursue. Through Email, Phone Call or Meeting through an acquaintance, introduce yourself and your ability to execute the 5 Rs. You can find phone numbers and email contacts directly off the companies websites. Don't act like you cant get the contact info. If you can't, your not trying, even though it is an easy first step. Boooo! Express your interest in building a professional relationship and promote yourself as an asset for them to attain. Show them why your valuable as an athlete representative. Be open to unexpected opportunities. If it sounds promising, communicate clearly and openly to the build relationship, show ambition and explore the new possibility. Maintain valued relationships. Call for no reason once in a while. Every call should not be, "Can I have more stuff." Your supporters like to think you care how they are doing once in a while. It is a good idea to write down a basic proposal. You should have a rough draft that you can customize to any company it might be intended for. This will be an outline of how you plan on promoting and representing the company and what you hope they will provide in exchange. The proposal will change depending on the company, their product, how much you can do for them and the level of product, financial and incentive support they may potentially provide. Additional incentives they may provide include photo incentive (a payment schedule for photos and editorial you get published) and victory schedule (a payment schedule for podium finishes - bigger the event, more money they will pay). Don't be too demanding, but they are appropriate subjects to bring up in your proposal drafts, just to see what they are willing to offer. Whether you wait for just the right moment to send your prospective sponsor the proposal, or it just allows you to organize your thoughts and ideas to discuss with a team manager over the phone, having a proposal on hand can really help encourage the details of a possible snowboarding sponsorship towards reality. Keep trying. It is a tough market, but if you make a name for yourself and get things rolling in the right direction, there is no telling how far it can go. Just look at Shaun White. Take the reigns and do the work. This is not Magic. It just takes making a plan, setting goals, then getting down to business and working to reach those goals. 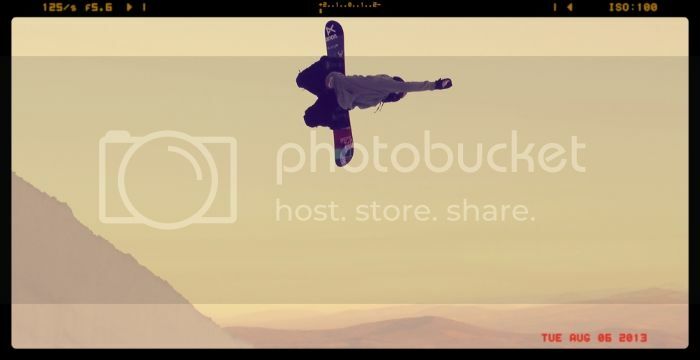 Do you have a YouTube video or photos you would like to post on Snowboard Coach. Just embed the video code into the Text Entry Box or Upload a Photo Below. After approval, your submission will become its own page on this site. With more and more traffic all the time, someone might like what they see in your submission and want to help you out. So, make it worthy. Entering your Resume is easy to do. I am locally sponsored but i need more support to become on an international team of a snowboarding company.